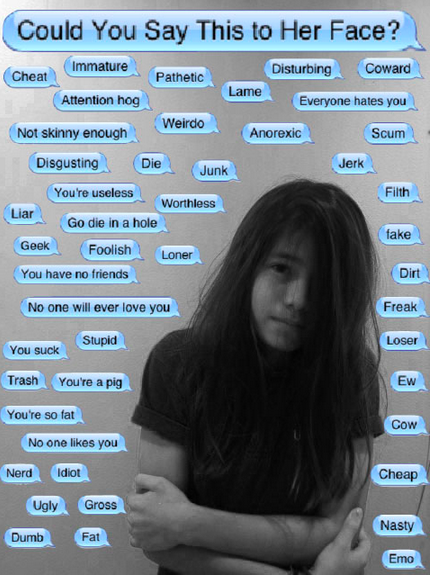 In my school we are lucky that physical bullying is so small an issue – but today bullying takes so many different forms that does it go unnoticed or recognised? In light of so many incidents, Facebook and Formspring (the US site that ask.fm was modelled on) have brought in extra moderators to police commenting and track down perpetrators but ask.fm appears to be running as it always has. What can be done – is tougher action needed? Who is to blame? How can we as educators police it? We cannot access their sites or read their pages. All we can do is educate them advise them. What is a good citizen? How can we change others? 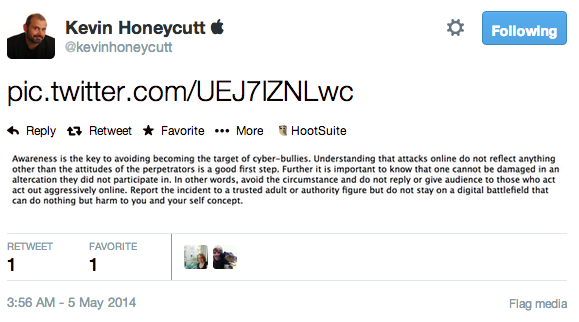 Kevin Honneycutt‘s posts on Twitter last week rang true to me and he points out that awareness is crucial in helping to stamp out bullying online. Back in the UK, I remember a bullying policy of No Blame, yet it has progressed further since then in addressing the issue before it develops. Helping youngsters to think before they post is an important step towards preventing such harm to an individual and encouraging students to speak out confidently. It all boils down to a matter of ethics and teaching this is our job as educators. The story of Amanda Todd cannot fail to touch everyone yet still people are posting hateful comments even now. To what lengths do individuals go to to upset or continue the pain? This is a lesson all students should be taught and hopefully put a stop to such awful behaviour. You can see how Amanda’s story affected teens on this video link. Writing this post, as not only an educator of youngsters but as a mother, has really affected and upset in me and I feel compelled into action to prevent this happening in our school or others. 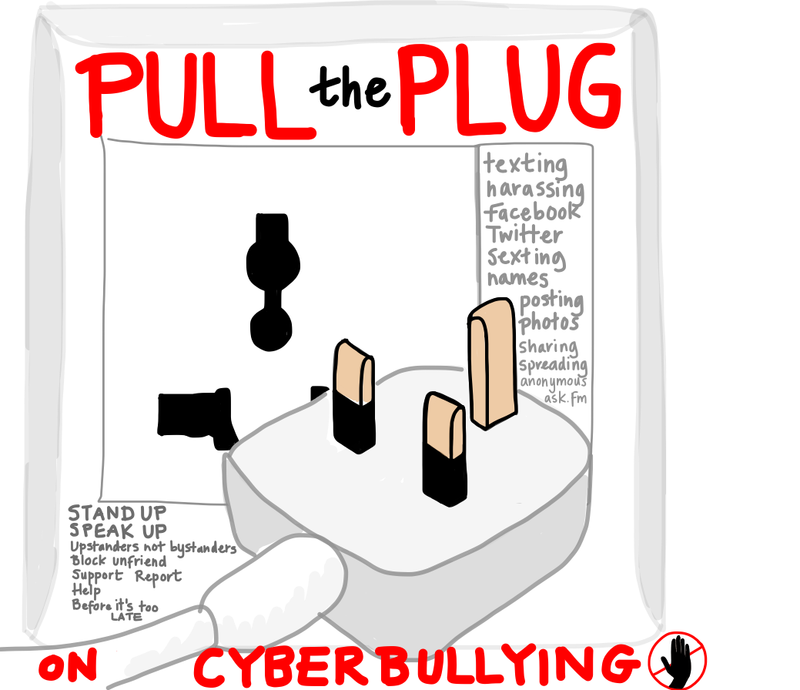 What will you do to help spread the word and to stamp out cyber bullying? I will use these stories and videos to spark understanding and to inspire action. In Life Skills I will get students to work together to produce a PSA about cyber bullying, teach empathy and the consequences of actions online. Reading about Cyber bulling got me down too. I really had no idea. I live in a bit of a bubble, small school, don’t hear about it much and my kids are way too little but it is out there. The story of Amanda Todd really broke my heart. I have since talked with my students a bit and see how prevalent it is. More then I thought. My action will to bring this up to our middle school coordinator about starting a program next school year in regarding to awareness online. I don’t think my school does much in that regards. It is on my to do list first thing Monday. I am sure I was not the only one who felt so strongly about this. I am not even sure that I wrote the right blog post but it got me thinking how bad it can get for some poor kids. I am sure so much is behind closed doors too, do we even know half of what goes on? The Internet is so visible yet so invisible to us teachers/parents. How can we possibly help other than by educating them in best behaviour? Nicki, thanks as always for a very heartfelt and passionate response to an important topic. I’m looking forward to seeing the product of your action with your students. I’m sure it will be amazing. But more importantly, I think it will be empowering to the students themselves to realize that they are the most important elements in breaking this bullying cycle. I know – that is so true. As a Head of Grade for our next academic year and currently dealing with a very complex version of this, it is a daunting prospect as it is so difficult to track if it goes unreported. So many kids just put up with it, bury it or think it is their fault rather than talking about it. I think they believe it is part of growing up and that it will only escalate but no child deserves to feel like this. Thanks as always for your encouragement!